Dandelion Flower Oil reminds us of the sun. It's always sunny in these beautiful flowers. A lovely pain reliever, helpful in soothing arthritic joints, back tension, sinus headache and stiff necks. 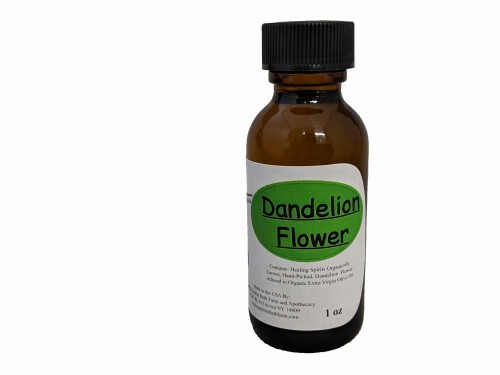 Made with: HealingSpirits Organic Dandelion Flowers solar infused in Organic Grape Seed Oil.